When I was a boy of nine, in 1969, I wanted to be an astronaut. Teachers and family were heartened by this unexpected indication of “normality.” I was granted special permission to sit in with the sixth grade class to watch historic TV broadcasts. Only . . . by definition it was not normal! None of the boys at my suburban Grand Rapids, Michigan elementary school showed any degree of the same enthusiasm. Possible contributing factor: the “Apollo 1″ mission? 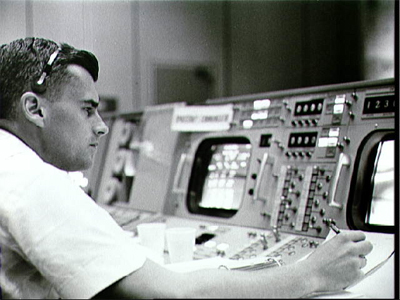 You see, Roger B. Chaffee (that’s him on the right on raft, in silhouette) was from Grand Rapids. You have to wonder what sort of an influence it had — the hushed silence in my hometown about this handsome Navy aviator’s NASA martyrdom by immolation. Last month I traveled to Pensacola, Florida — home of US Navy aviation. Scheduled seven hour air travel ended up taking 24 hours (because cowardly pilot declined to land in Memphis, because of alleged tornado, which I admit did appear visible from my window seat, but still). Violent unscheduled landing in Little Rock was first of three separate occasions over three days when I felt like end-stage Icarus. Yet I survived. Without so much as a sunburn. And the second half of the trip was bliss beyond words. Ever since I’m (mostly) back to smiling like when I was nine. Sincerely!